Front Row (Left to Right): Mignon Jacobs (Fuller Theological Seminary), *Lucinda Huffaker (Wabash Center), Susan Harlow (Meadville Lombard Theological School), *Fayette Ververka (Villanova University), Richard Stern (St. Meinard School of Theology), Cheryl Kirk-Duggan (Graduate Theological Union). 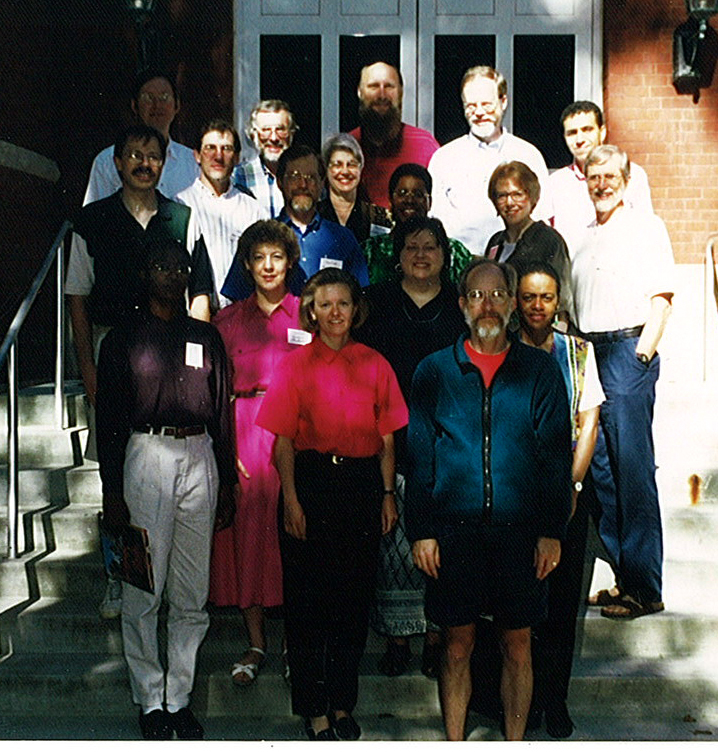 Second Row: Charles Gieschen (Concordia Theological Seminary, Ft. Wayne), Peter Feldmeier (St. Paul Seminary School of Divinity), Robert Sherman (Bangor Theological Seminary),Delores Friesen (Mennonite Brethren Biblical Seminary), Marsha Foster Boyd (Payne Theological Seminary), *Sharon Daloz Parks (The Whidbey Institute), *Charles Foster (Candler School of Theology). Third Row: Reinhard Hütter (Lutheran School of Theology, Chicago), *Peter Frederick (Wabash College), Craig Nessan (Wartburg Theological Seminary), Vincent McNally (Sacred Heart School of Theology), Khaled Anatolios (Weston Jesuit School of Theology). Not Pictured: Scott Cormode (Claremont School of Theology), Timothy Fulop (King College).